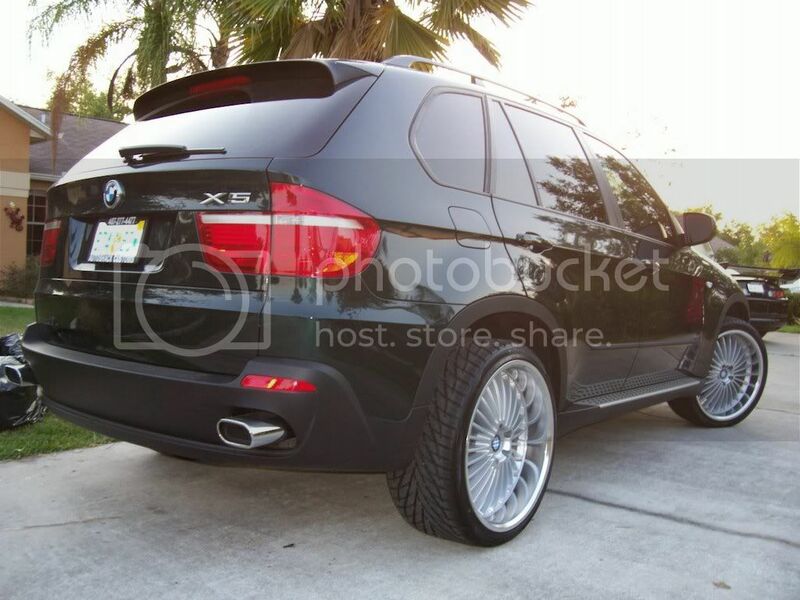 Post all E70 X5 pictures here, your own and your favorites! Hopefully this thread will also help potential buyers with colors, options etc. Weather it may be ideas on what to look for or indivindual specification by factory. Last edited by topgear66; 06-05-2007 at 08:03 PM. Last edited by canamx5; 04-18-2007 at 08:04 PM. should I post....all of them? 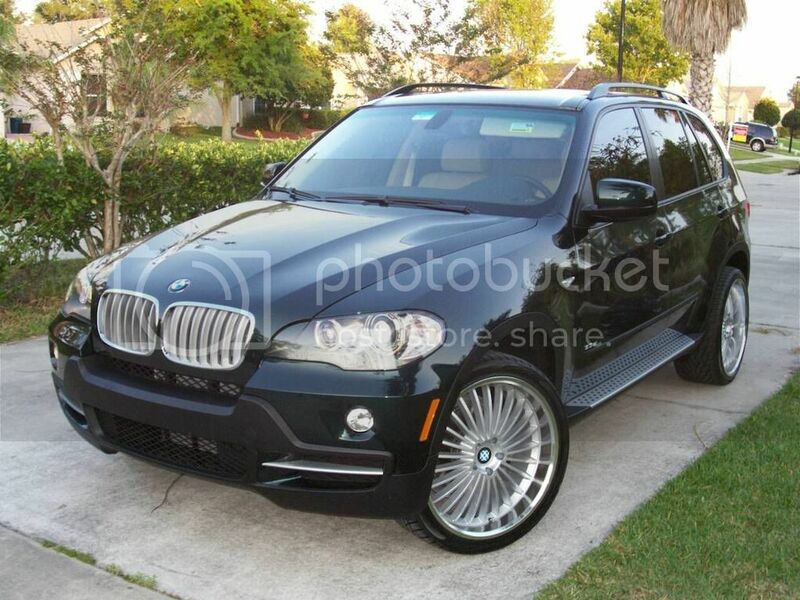 2007 BMW X5 3.0si-Premuim, Tech, Cold Weather, Rear Climate, Heated Rear Seats. Ok I posted a lot...you can see the rest at my X-Page. I have more iDrive pictures there. Ok, I'm still not a huge fan of the e70 but Canamx5 yours is HOT!!! Damn Thats exactly what I would have ordered. Goodluck with it! Formerly known as "Silver 5"
You need flared fenders with those 22" rims and drop the car a little bit if you want. BTW, X looks great!